Happy Kitchen Sink Stamps Monday! 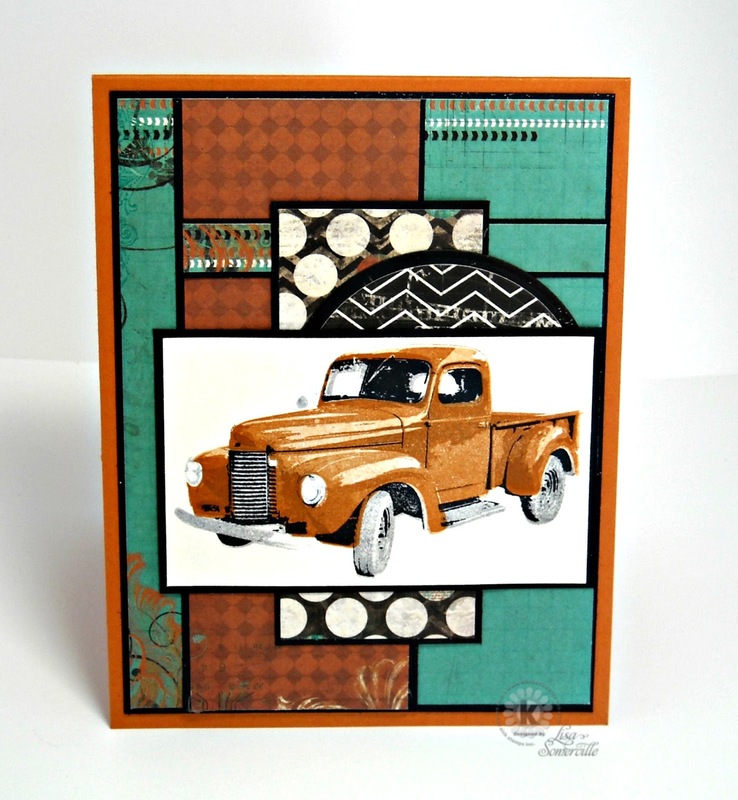 Inspired by this weeks Mojo Monday Sketch and the need to create a Birthday card for my soon to be 20 year old, I used Kitchen Sink Stamps Multi Step Classic Old Truck stamp set along with Bo Bunny pattern paper. Love all the colors on this card. A great layout for this fabulous truck.